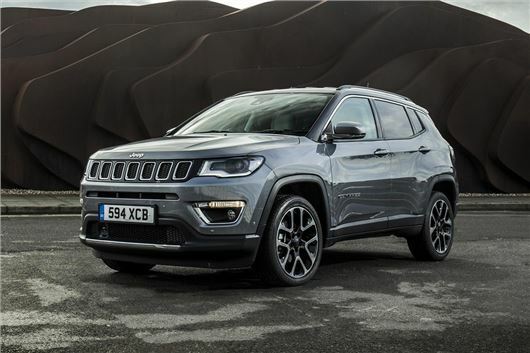 Jeep has announced that its all-new Compass, which promises “best-in-class” offroad capability, will go on sale in February 2018, priced from £22,995. There are five engine choices – two petrol and three diesel. The petrol line-up consists of a 1.4-litre turbocharged petrol with either 140PS or 170PS, while the diesel range features a 1.6-litre with 120PS or a 2.0-litre with either 140PS or 170PS. The latter is sold with a nine-speed automatic transmission and all-wheel drive as standard. Jeep makes a big point of how capable the Compass is off road, with the range-topping Trailhawk model the most competent of all. Trailhawk variants sit at the top of the range and have a higher ride height, skid plates, a rear tow hook, front and rear bumpers designed for steeper approach and departure angles, plus 17-inch alloy wheels with off-road tyres. There are also enhanced 4x4 settings designed to provide better capability in tough conditions. In total there are four trim levels – Sport, Longitude, Limited and Trailhawk. Base models get 16-inch alloy wheels, air conditioning and cruise control, along with forward collision warning. Moving up to Longitude adds 17-inch alloy wheels and a larger 8.4-inch touchscreen with Apple CarPlay, Android Auto and navigation. Dual-zone climate control and keyless entry are also added. Limited versions come with 18-inch alloys, roof rails, tinted glass, leather power and heated seats, heated steering wheel, auto wipers, reversing camera, semi-autonomous parking, blind spot assistance and rear cross path alert. Full prices are below.